Cloud computing security or cloud security contains a set of policies and technologies to protect the data of cloud computing. The data is stored in the third-party data centers so it is the matter of concern for the user i.e. security concerns so the provider must be ensuring the structure for the cloud computing. In this paper, the detail analysis on the privacy and security in cloud computing is established to provide the detailed information and on that basis, derive a detail specification of privacy and security problem in cloud commuting. In general Cloud computing is storing and accessing data over the internet instead of user’s hard drive of electronic system and it relies on computing resources sharing rather than local or personal devices. Cloud is used as a metaphor for the internet so cloud simply computing means internet based computing and organizations use various service models of the cloud i.e. 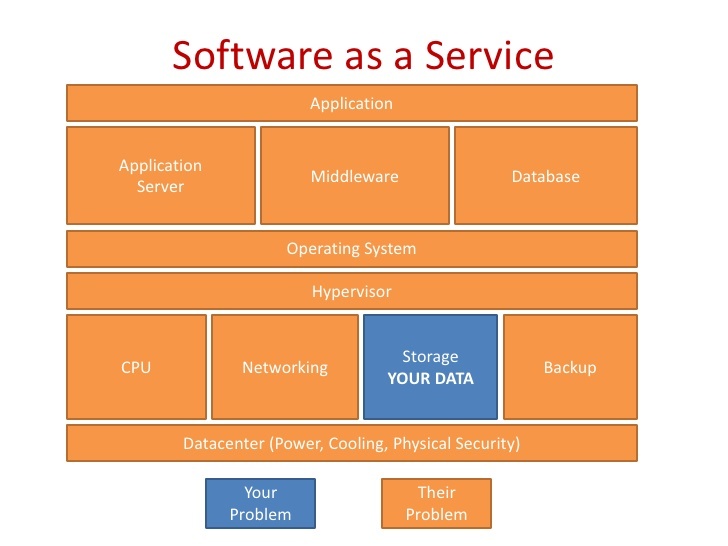 SaaS, PaaS, and IaaS. As it has third party data center there is high risk of breach of data and that creates security concerns that lead to the topic cloud computing security which means the set of procedures, process, and standards developed to provide privacy and security assurance in cloud computing. This paper consists of critical analysis of two papers is established on the basis of that further discussion over security in cloud computing is discussed. According to Carlin, and Curran, (2011) the biggest risk that people has observed that the providers have to manage numerous customer and it is the challenge for them because a lot of people are worried with cloud computing infrastructure so privacy is essential for the organizations especially when personal and confidential data is being stored. According to Mishra, et al, (2013) cloud computing is losing its control due to accountability even if one or more third parties are involved. Various Technologies and architecture related to cloud computing should be mixed to enhance the characteristics of the cloud computing in multi-tendency and virtualization. According toPopovi?, and Hocenski, (2010) sensitive security threats in cloud computing must be overcome and resolved for the beneficial cloud computing paradigm. According to Takabi, et al, (2010) understand the privacy and security related risk of cloud computing and developing efficient solution is very difficult for the excellent success of cloud computing. Providers i.e. cloud computing providers allow us to access data but the matter of concern are to ensure the legal authority. According to Almorsy, et al, (2016) cloud computing model is the most promising model for the providers and consumers but for the safe access security holes should be blocked. Infrastructure-as-service (IaaS)includes the online storage, physical server farms, virtually equipped machines, and load balancers. Perform-as-a-service (PaaS) includes online database, online servers, and dev tools. Software-as-a-service (SaaS) is the most popular cloud services on the basis of services to the consumer as well as enterprises. This further includes CRM, email, online games, office suites, and communication tools. Security and privacy issues falls under two categories i.e. issues faced by providers like infrastructure, software and the second is security issues faced by consumers like breach of data so accordingly the responsibilities of both user and provider are shared because provider must ensure the infrastructure for the consumer where user will be stored all the data and user must ensure authentication of system and use strong password. (Jain, 2012) There are lot of securityissues that would be raised while discussing the privacy and security of the cloud i.e. data issues, privacy issues, infected application, and security issues. Data stored in the cloud computing is very sensitive and user always concern about the security of the data because data loss is very common issue in cloud commuting i.e. data can be lost, damaged, or corrupted. Cloud security must be at two level first is at consumer level and another at provider level. Governance i.e. policies and procedure for privacy and security plays a vital role in cloud security and affect a lot so audit mechanism should be adopted for the compliance of that how the data is stored, protected, and accessed. Organization should have regulatory compliance that includes conformance with regulation and laws developed by government for the security and privacy of cloud computing security. The main issue is architecture of the software and system because it should be appropriate and secure and organization should be equipped with identity management system and data protection appliances (Joachim, 2010). Cloud security architecture effectively works if implantation takes places time to time and this is called security management that will be addressed these security issues with the help of security controls that reduces the effects of attack. There are many cloud controls are used for the cloud security s categorized below (Zissis, and Lekkas, 2012). Deterrent controls are used to reduce the attacks on the cloud and it informs the attacker about the consequences. Preventive controls provide strength to the system against incidents. Detective controls are prepared to recognize and appropriately react to any of the incident that harms the system. Corrective controls just reduce the consequences of the attacks and incident by limiting the access of damage. (Chen, and Zhao, 2012) Every organization or firm has their own identity management system to fight control the access and generally use federation and SSO technology in organization. For physical security, highly trusted and secure IT hardware is used i.e. server, router, cable etc. against the unauthorized access. There are various threats that are associated with data services of cloud like traditional security threats, network eavesdropping, service attacks etc. confidentiality, access controllability, and integrity are the basic requirement that restricts the threats. Confidentiality is the property of not disclosing the data to the third user i.e. illegal user because data is outsourcing and owners can’t directly control it so chances of breach of data are increased. Access controllability means that the data owner can select parties who can access the data which is outsourced to the cloud because legal users can authorize by permission of owner of the data. Finally, the data integrity which demands to maintain and assure the completeness and accuracy of the data because users always demand for that the data can be stored correctly and trustworthily in the cloud i.e. there would be no illegal access to the data stored in the cloud. (Jain, 2012) Cloud requires for advance technologies and methods to prevent the issues occurred during cloud computing that leads to the secure server and secure cloud for this a layer framework is described in the figure below. The First layer of framework is virtual machine layer and second one is cloud storage layer which has storage infrastructure which s further integrated from various cloud service providers. Fourth layer consist of virtual network monitor layer which includes both hardware and software solution in machine. Provider should also keep these points in their mind while delivering cloud computing services that are the provider first they should verify the access control whenever the data is stored by the consumer for that providers must ensure that only authorized users can access the data. The second thing is provider should have control over the devices used by consumer such as computers, gazettes, pamphlet, and mobile phone that the devices are secured enough or not because best security protocols in the cloud can restrict the access of end point disclosure of information by unauthorized users. Further the provider should monitor the access like when the data is accessed and the purpose behind the assessing of the data and providers should also provide the chart and graph to consumer when asked about compliance. Finally, providers should provide enough information about the promises and contingency of report these kinds of events would provide the information about responsibilities, actions, and promises of provider of cloud computing services. (Somani, et al, 2010) Uses of encryption can also decrease the chance of the cloud computing attacks and provide secure and accessible platform. Encryption starts with Attributed-Based Encryption Algorithm (ABE) which is classified into two categories the first one is Ciphertext-policy ABE (CP-ABE) which control the strategy of control access, it provides complexity to the control access that leads to the complex design of system public key and security of the system becomes difficult to attack. The second Attributed-Based Encryption Algorithm is Key-policy ABE (KP-ABE) which is used to describe the text i.e. encrypted and the private of that encrypted text that is required by user to decrypt the text. Fully homomorphic encryption (FHE) provides resources for straightforward computation on encrypted information and helps to solve encrypted text. Last type of encryption is Searchable Encryption (SE) is consist of cryptographic primitive which provides safe search functions over encrypted data or information and leads to efficient search optimization. It creates some keywords that offers secured user queries and it falls under two categories that are Secret-key cryptography and Public-key cryptography. Almorsy, M., Grundy, J. and Müller, I., 2016. An analysis of the cloud computing security problem. arXiv preprint arXiv:1609.01107. Appropriate keyword is used for searching this research paper and then according to provided criteria I have selected this paper on the platform “ebsco host”. The paper was published in 2016 and cited by the 186 people, best research paper which is published recently on the cloud computing security. But from the providers end it is very expensive to own appliances for security because it requires a lot of expenditure and resources which are very difficult to master but neglecting the security, results attacks and data breach so cloud provider should understand the concern of consumer and should find out security solution that provide solution to such concerns. IaaS security Issues: it secures the virtual machine’s operating system and other loads from security threats which affect the physical server, malware, viruses by using traditional or cloud-oriented security solutions. It comes under the responsibility of consumer because each cloud consumer is having their own security controls according to their needs and the risk that they assume. As physical server is under risk same as VM are still under risk even when they are offline so it is the responsibility of provider to provide secure VM image repository. PaaS security issues: the PaaS model completely based on the SOA i.e. Service-Oriented Architecture and it includes all the SOA issues like DOS attacks, replay attacks, Injection attacks, Dictionary attacks, Man-in-the-middle attack etc. for resolving this kind of issue mutually authenticate, authorized and WS security standards are essential. PaaS also has API security issues which provide functions like management function and business function and provider is completely responsible for this kind of security issue and isolation over API is needed. SaaS security issues: to maintain the security within SaaS is common responsibility of consumer and provider and it consists of the same issues described in the previous two models as Saas is built at top of them as shown in figure that includes data security management (i.e. locality, integrity, backups, and confidentiality) and security related to network. Cloud Management security issue: the main component of this system is CML i.e. Cloud Management layer which includes service monitoring, billing, IaaS, SaaS, PaaS services registry and security management. Cloud Access Methods Security Issues:basically, cloud computing is all about exploring information over the internet which can be father accessed by web Browser, Protocols, and Remote connections. Security controls should target on this area to protect the cloud computing and data that is transferred between the cloud and consumers. The cloud computing models are best and promising models for provider and consumers but for better optimization security holes should be stopped because it essential for the security and privacy of the cloud computing system. Takabi, H., Joshi, J.B. and Ahn, G.J., 2010. Security and privacy challenges in cloud computing environments. IEEE Security & Privacy, 8(6), pp.24-31. For the search of this research paper keyword is used on the platform “Google Scholar” and then according to criteria I have selected this paper. The research paper was published in 2010, 971 times cited and detailed description paper for the cloud computing security and privacy. This paper has contained the description about cloud computing definition, feature, security and privacy implications, and the main challenges in cloud computing. According to author cloud computing is the basic model that enables the convenient access to share computing resources like servers, applications, services etc. that can be rapidly provisioned and disclosed with minimum efforts. The five key characteristics of cloud computing models are ubiquitous network access, on-demand self-service, location-independent resources, measured services, and rapid elasticity, all can be used to establish transparent and seamless cloud. As the implication in cloud computing is occurred issues started to rise with those implications, according to author those implications are Outsourcing Data and Application which provide access to data to the consumers but the question is how to ensure the authorized entities because we rely on the third party to access the data. Extensibility and shared Responsibility which allow us to share responsibilities for security and privacy but it is done differently at different level i.e. in SaaS provider has more access than customer that means provider are more responsible, in PaaS customers have primary responsibilities because the aim of PaaS is to enables services to develop our own application, and in IaaS providers are essential. Virtualization is very important technology that initially helps to provide resource and infrastructure to consumer and hypervisor is the part of platform-virtualization that works simultaneously that enables multiple operating systems in computer of user. Heterogeneity comes in different forms in cloud computing initially users were needed software and hardware to create cloud environment but heterogeneity occurs and it can be the difficulty for the model like user can subscribe IaaS from one provider, PaaS from second provider and SaaS from third service provider. As the cloud computing model was implemented and new technologies were merges some security issues aroused and those issues are, issue in concerning IDM (identify management mechanism) which helps in authenticating users on credential and characteristics is interoperability i.e. fake identity because it contains private and confidential information. Next is that the access control system should be secure and appropriate which means it should be easily managed. There are numerous providers are there who provide various services which have different security and privacy polices so heterogeneity should be addressed before selecting the platform because in cloud computing environments service requirement drive the interaction between different service domain thus a trust framework must be developed. The author has also addressed different issues like issue in Secure-service management, privacy and Data protection. For resolving this issue some approaches are suggested like implication in Authentication and identity management, Access control needs, secure interoperation, Secure service provision, Data-centric policy, Semantic heterogeneity, and trust Management. According to this paper security and services in the cloud computing environment can be managed and improved by the group of experienced individuals who can provide effective security and privacy services for the betterment of cloud computing model. The exiting cloud computing security need to reevaluate according to the appropriate issue as lots of issues are described above in this paper and the solution should be both consumer and provider family. Cloud computing is still facing many challenges and issues regarding safety and privacy. These issues are rapidly growing and need to provide security mechanism as soon as possible because it is the platform used by user to access and store the information which is very sensitive, crucial and sometime confidential in nature. In this paper, we have initially described the security and privacy in cloud computing system and further critically evaluated two research papers describing the issues in cloud computing model. We have analyzed the strength of the argument of both the papers and presented in this paper for the better understanding of the challenges and issues arising in cloud computing system. 1.Carlin, S. and Curran, K., 2011. Cloud computing security (online available at https://books.google.co.in/books?hl=en&lr=&id=i7OeBQAAQBAJ&oi=fnd&pg=PA12&dq=cloud+computing+security&ots=QObm347sm4&sig=GMLwJAnz0VW8JVxf7SBZke7YXKU#v=onepage&q=cloud%20computing%20security&f=false)accessed on 26/03/2017. 2.Mishra, A., Mathur, R., Jain, S. and Rathore, J.S., 2013. Cloud computing security. International Journal on Recent and Innovation Trends in Computing and Communication, 1(1), pp.36-39. 4.Takabi, H., Joshi, J.B. and Ahn, G.J., 2010. Security and privacy challenges in cloud computing environments. IEEE Security & Privacy, 8(6), pp.24-31. 5.Almorsy, M., Grundy, J. and Müller, I., 2016. An analysis of the cloud computing security problem (online available at https://arxiv.org/ftp/arxiv/papers/1609/1609.01107.pdf last accessed on 25/03/2017). 6.Joachim Schaper, 2010, “Cloud Services”, 4th IEEE International Conference on DEST, Germany. 7.Jain, P., 2012. Security Issues and their solution in cloud computing. International Journal of Computing & Business Research, pp.2229-6166. 8.Somani, U., Lakhani, K. and Mundra, M., 2010, October. Implementing digital signature with RSA encryption algorithm to enhance the Data Security of cloud in Cloud Computing. In Parallel Distributed and Grid Computing (PDGC), 2010 1st International Conference on (pp. 211-216). IEEE. 9.Jamil, D. and Zaki, H., 2011. Cloud computing security. International Journal of Engineering Science and Technology, 3(4). 10.Zissis, D. and Lekkas, D., 2012. Addressing cloud computing security issues. Future Generation computer systems, 28(3), pp.583-592. 11.Popovi?, K. and Hocenski, Ž., 2010, May. Cloud computing security issues and challenges. In MIPRO, 2010 proceedings of the 33rd international convention (pp. 344-349). IEEE. 12.Chen, Y., Paxson, V. and Katz, R.H., 2010. What’s new about cloud computing security. University of California, Berkeley Report No. UCB/EECS-2010-5 January, 20(2010), pp.2010-5. 13.Sabahi, F., 2011, May. Cloud computing security threats and responses. In Communication Software and Networks (ICCSN), 2011 IEEE 3rd International Conference on (pp. 245-249). IEEE. 14.Catteddu, D., 2010. Cloud Computing: benefits, risks and recommendations for information security. In Web application security (pp. 17-17). Springer Berlin Heidelberg. 15.Chen, D. and Zhao, H., 2012, March. 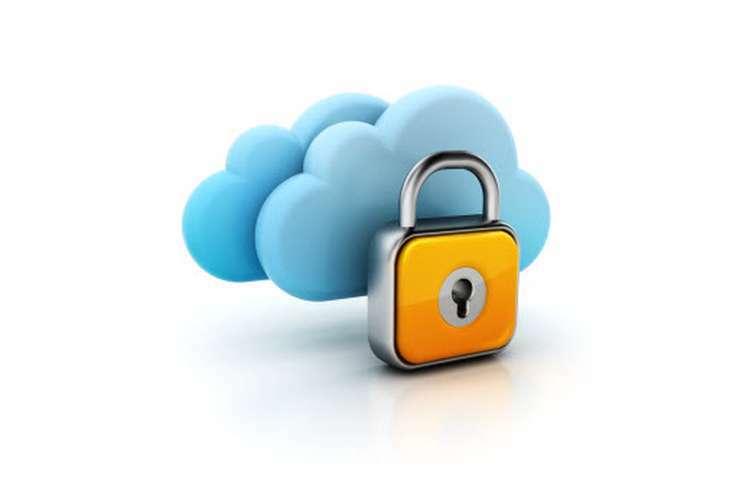 Data security and privacy protection issues in cloud computing. In Computer Science and Electronics Engineering (ICCSEE), 2012 International Conference on (Vol. 1, pp. 647-651). IEEE.